Cement Activation - GlobeCore. Oil Purification Systems. Grinding precision is one of the main parameters of cement quality. This construction material is one of the few, whose strength is improved by interaction with molecules of water. It is important to ensure thorough hydration of the substance. Apparently, water binds smaller particles better. 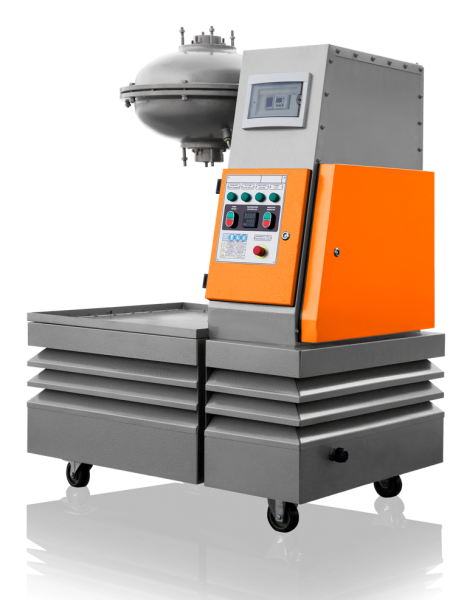 Specific surface is the parameter used in laboratory conditions to define precision of cement grinding. This is the total surface area of all grains of cement in one gram of the material. Normally, the specific surface of quality material is 3 to 3.5 thousand cm2/g. Particles 70 micron and larger may not solve well, which may significantly degrade the quality of the mix. Such ballast may constitute up to 20% of the concrete. 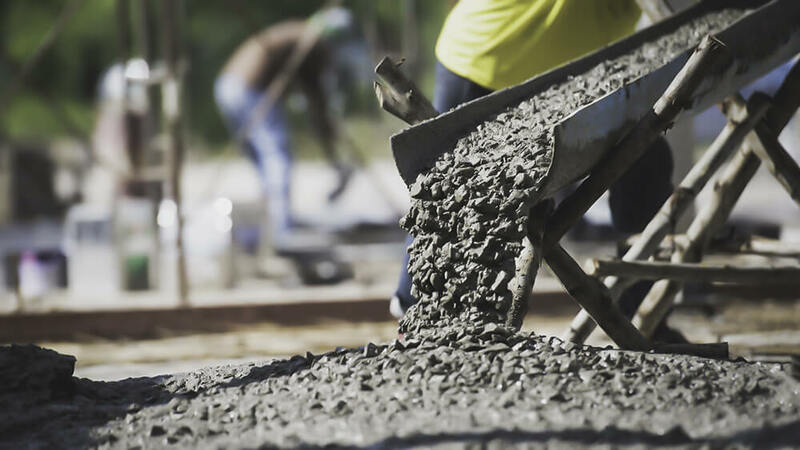 The conclusion is that fine grinding and cement activation are very important factors, if one intends to produce quality construction material, strong and durable. It was in the 1960s when inventor Dmitry Logvinenko suggested the theory and experimented with the influence of magnetic fields on free-floating ferromagnetic particles to intensify various processes. The idea was implemented in vortex layer generators. Due to high processing rate and low power consumption, compact size and simplicity of use (the unit can be retrofitted into an existing production line), these devices have quickly become popular among industrial producers. The method became common in various industries in the last several decades, such as machine building, oil refining, mining, construction, food production and agriculture, and, especially, in environmental applications. When producing construction materials, processing or recycling construction waste, vortex layer generators are increasingly coming into use. One application is to grind large particles of solid materials. 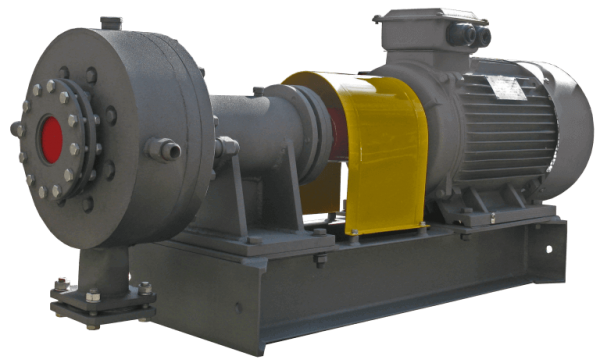 The equipment contains an induction coil which generates a rotating electromagnetic field. The field causes the ferromagnetic particles to move chaotically in the non-magnetic chamber inside the induction coil. The moving ferromagnetic particles interact with the processed material. In the case of cement, which is a powder, it is supplied to the unit dry. This is an important condition of quality cement activation in AVS type equipment. GlobeCore produces the AVS-100 and the AVS-150 vortex layer devices. The units are air-tight and do not require dynamic seals. The units are equipped with the induction coil, a cooling system, a non-magnetic chamber and a control panel. The machines are versatile and can work with solid, liquid and powdered materials. They can be used in production and processing of construction materials, including grinding of cement and other powders. The efficiency of the AVS is high with low energy consumption; relatively large particles can be ground to 1 micron size within minutes. 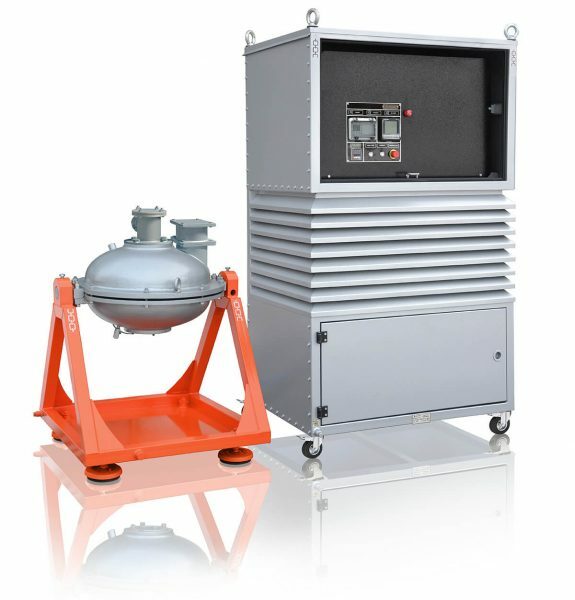 Besides, GlobeCore units are successfully used to intensify chemical processes, to create emulsions and suspensions in food production, to process oil products etc.